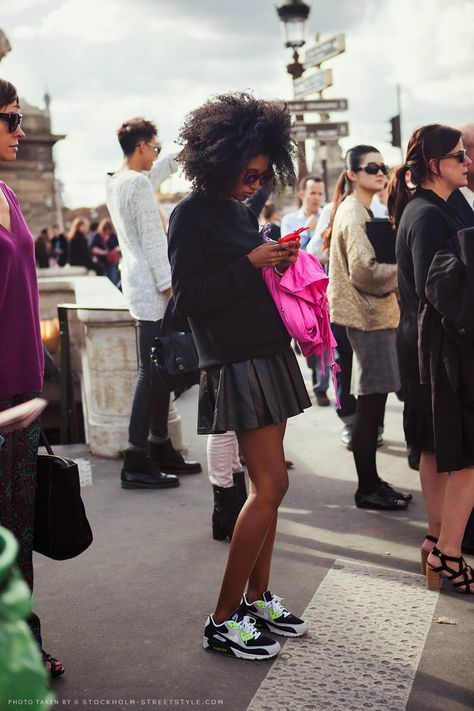 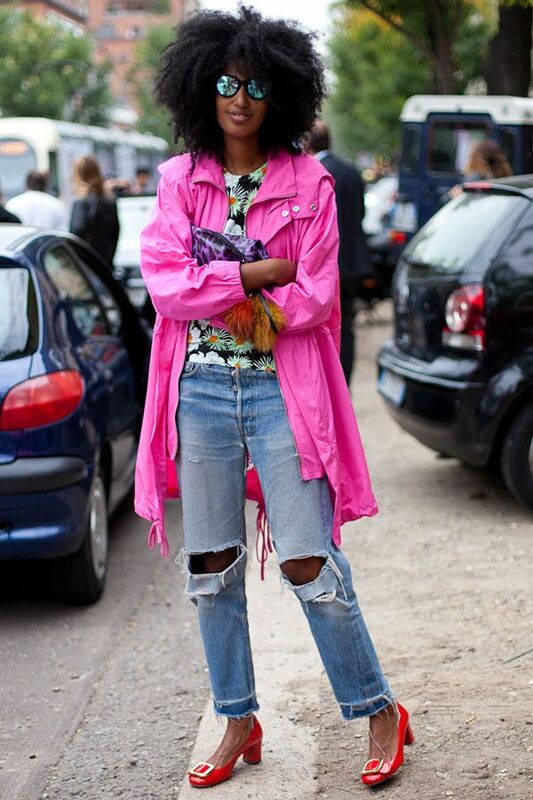 A fashion editor with serious street style. 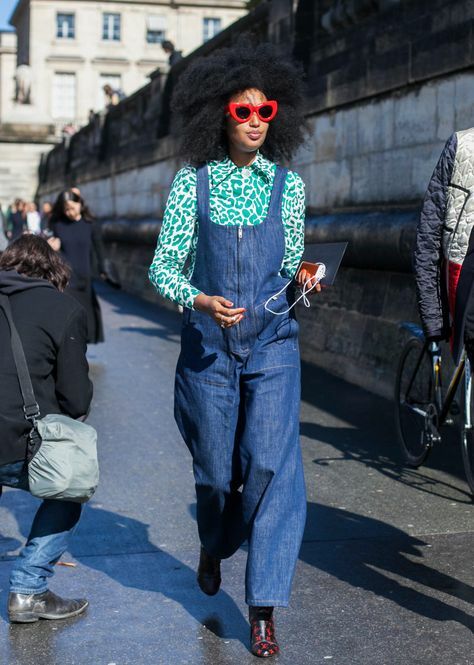 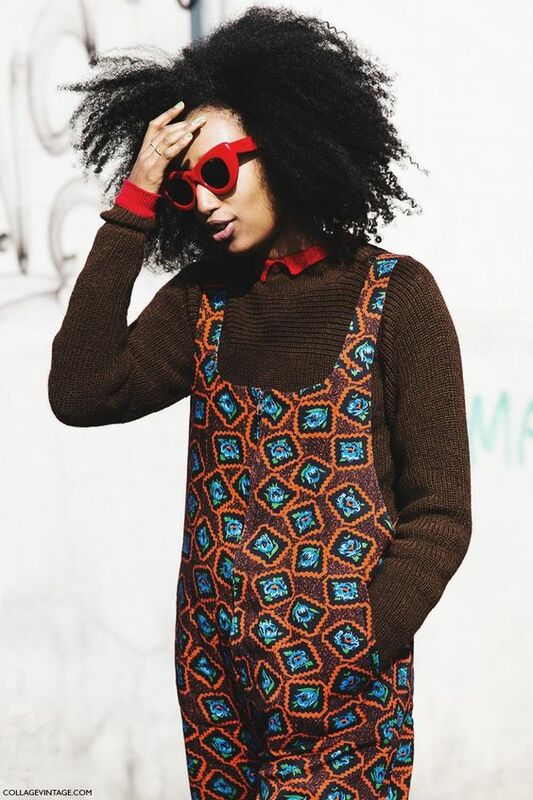 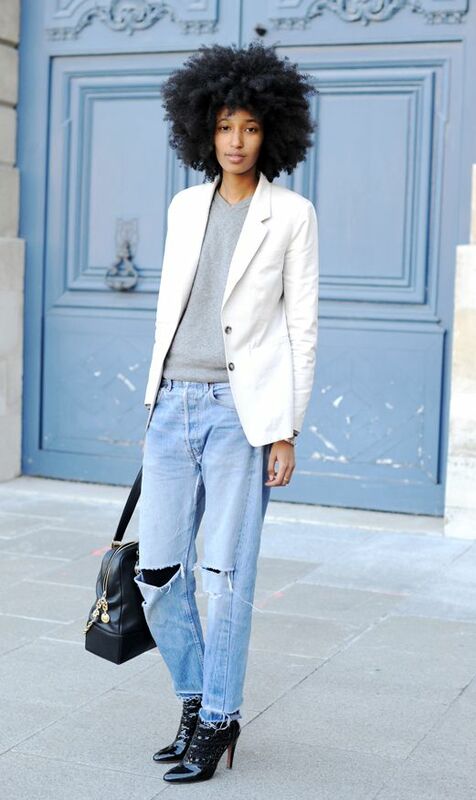 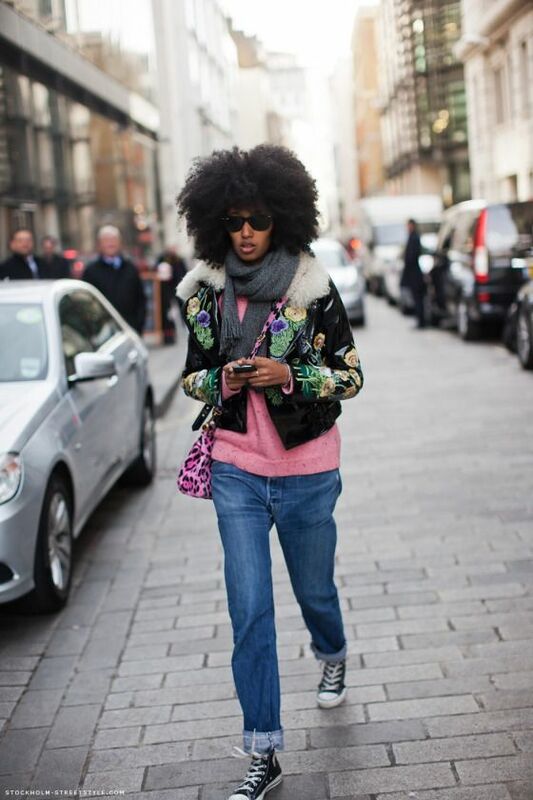 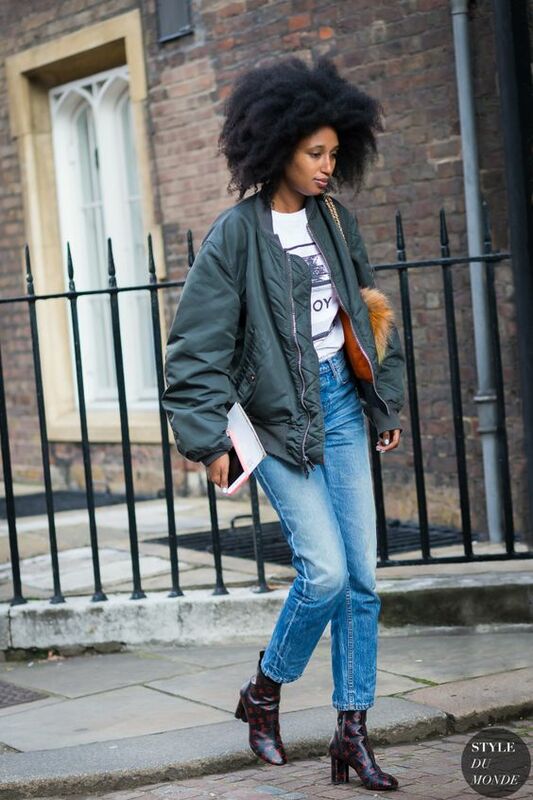 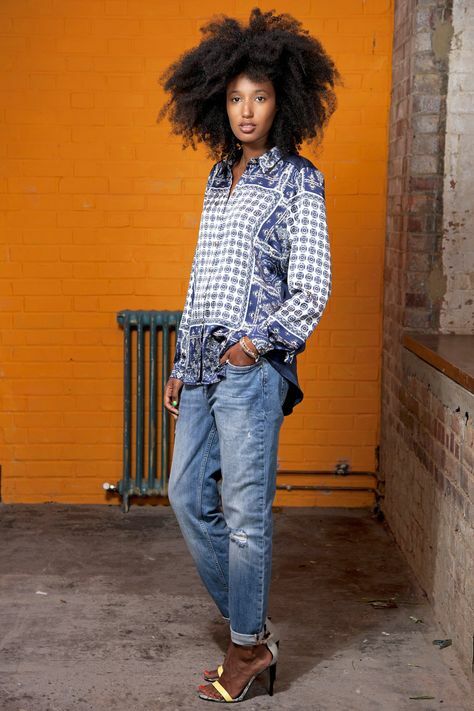 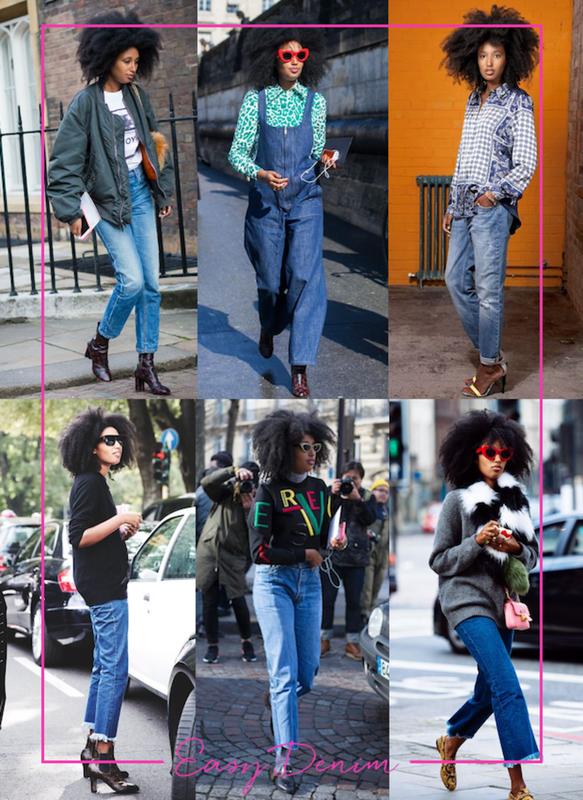 If you don&apos;t consider vintage denim to be high-fashion, then you haven&apos;t met Sarr-Jamois. 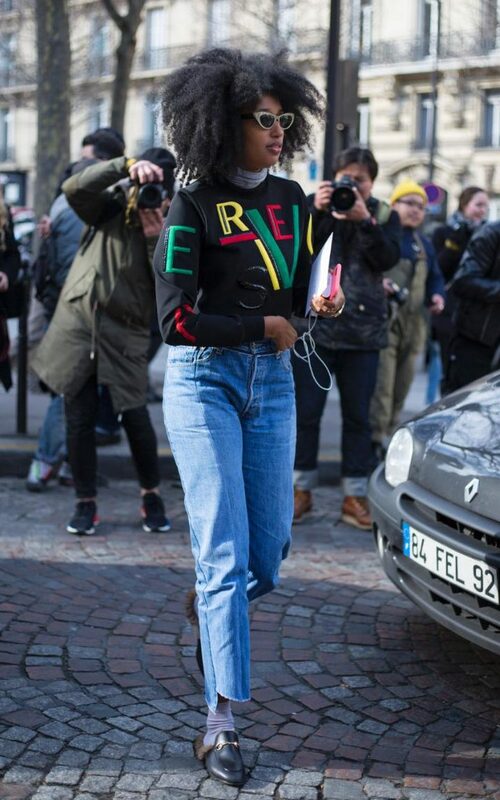 True to her talent for combining the high with the low, she creates memorable outfits out of mom jeans and baggy sweatshirts. 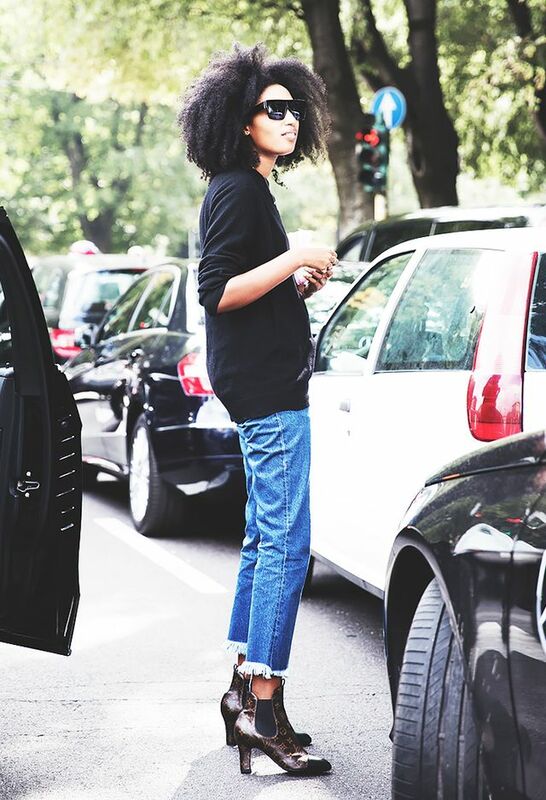 The key is balance. 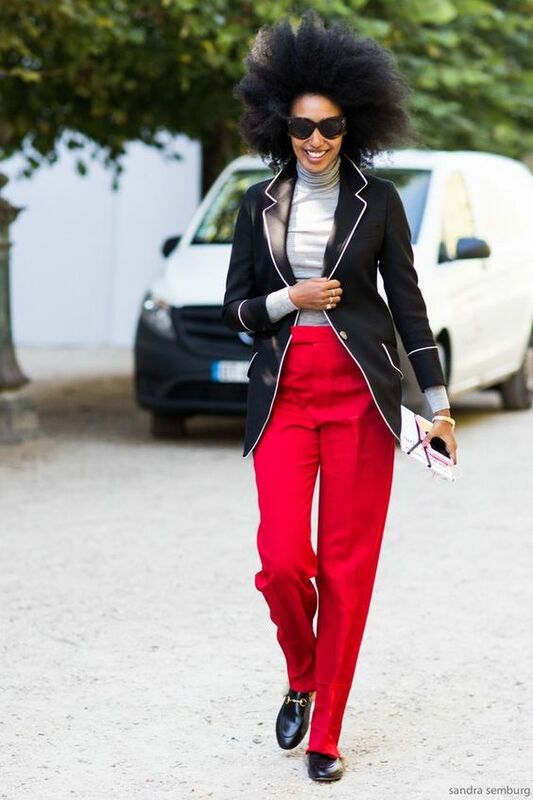 Take a look at our favorite outfit in this batch, in the lower-right corner—by adding a luxe scarf and an unexpected feminine mini-bag, the outfit goes from casual Sunday to runway-bound. 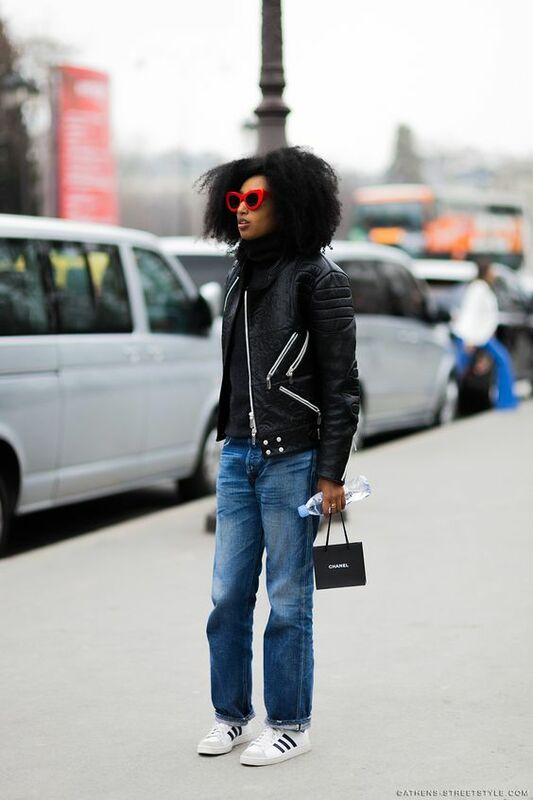 Each look benefits from a little bit of polish, in the form of boots, loafers, or heels. 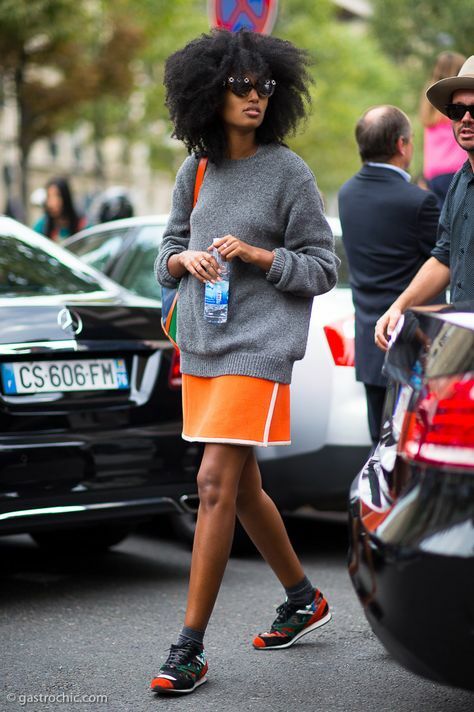 Sarr-Jamois&apos;s take on the mini couldn&apos;t be further from the days of Clueless (ugh, as if). 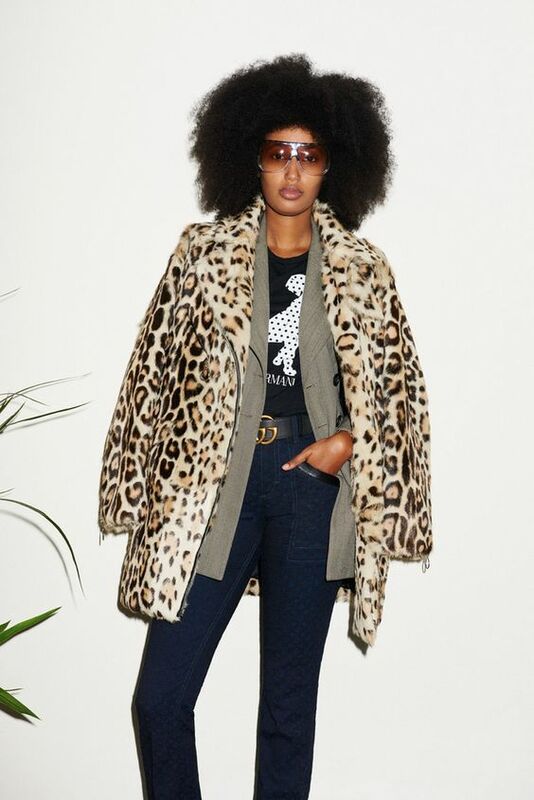 In her interpretation of the trend, she takes retro elements and carefully applies them to modern touches, like metallics, mixed patterns, and paper-bag waists—and you&apos;ll notice each mini moment is expertly balanced by a long-sleeved top. 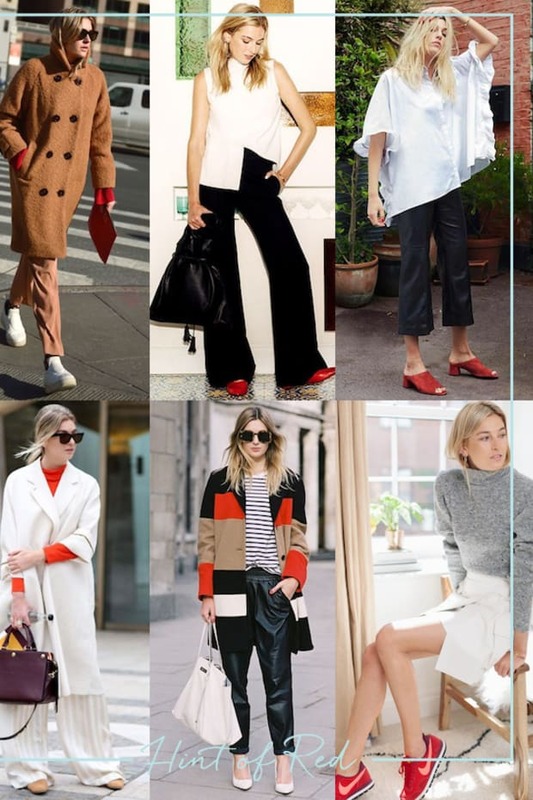 With casual elements on top (slouchy shirts and sweatshirts, cozy crew-necks and jean jackets), the miniskirt looks chiller than ever, versus trying-too-hard. 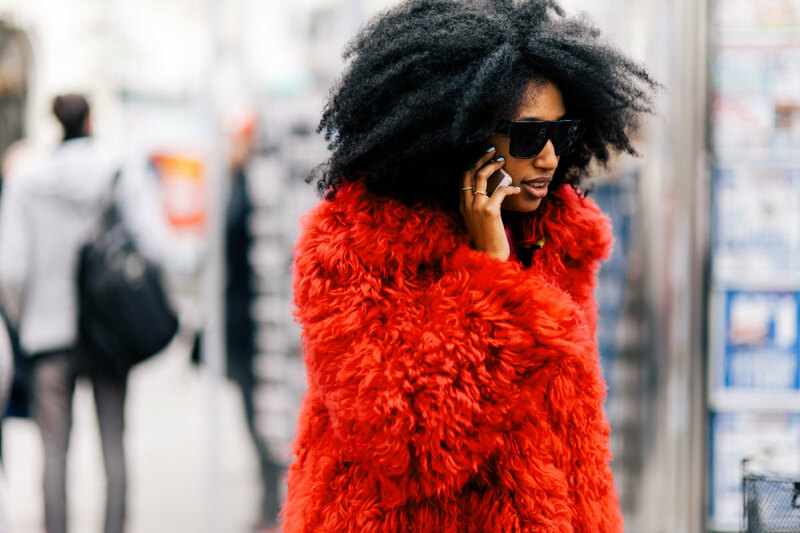 When in doubt, throw a statement-making coat on it. 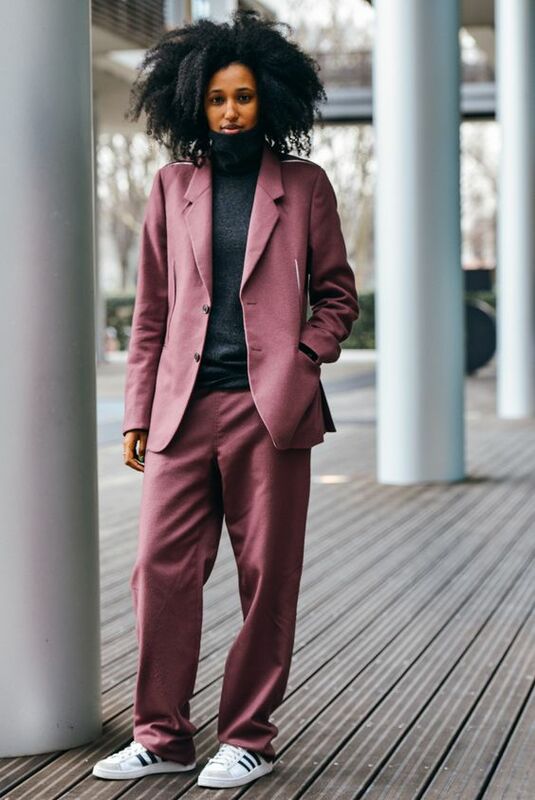 Sarr-Jamois proves that an exciting outerwear piece can completely transform an outfit from borderline boring to totally bold. 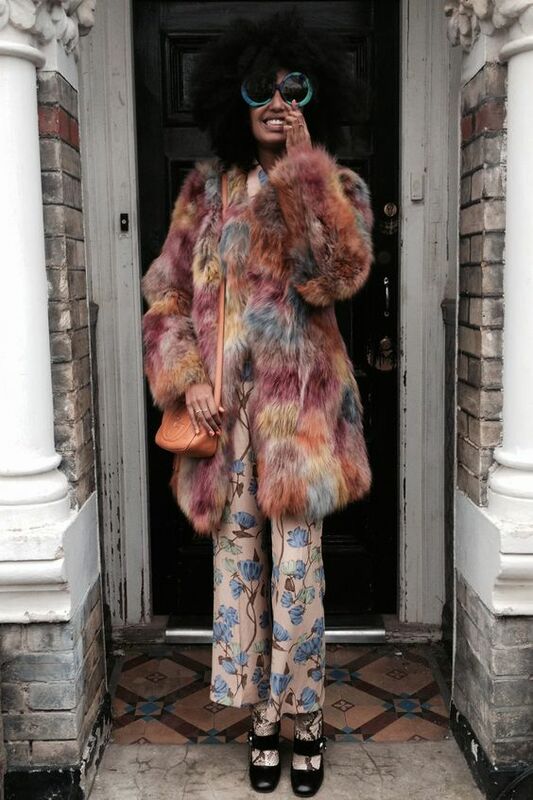 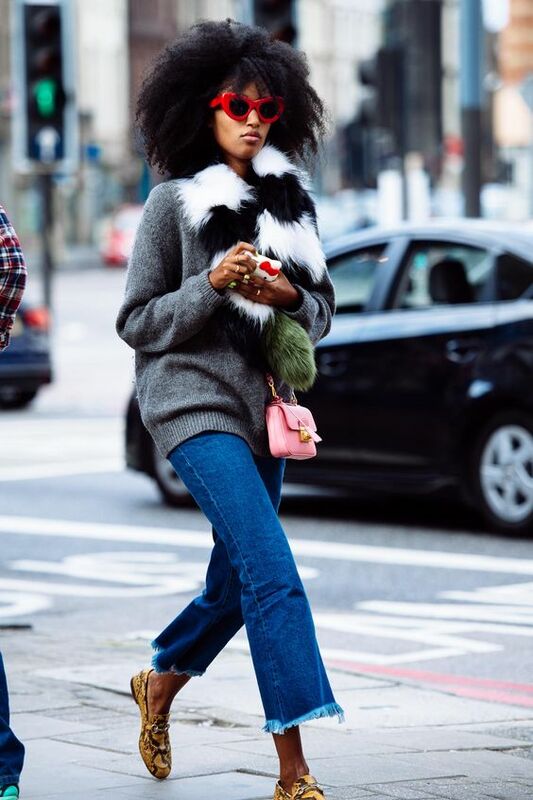 We especially love her use of fur textures, which add playful softness to the streamlined pieces underneath. 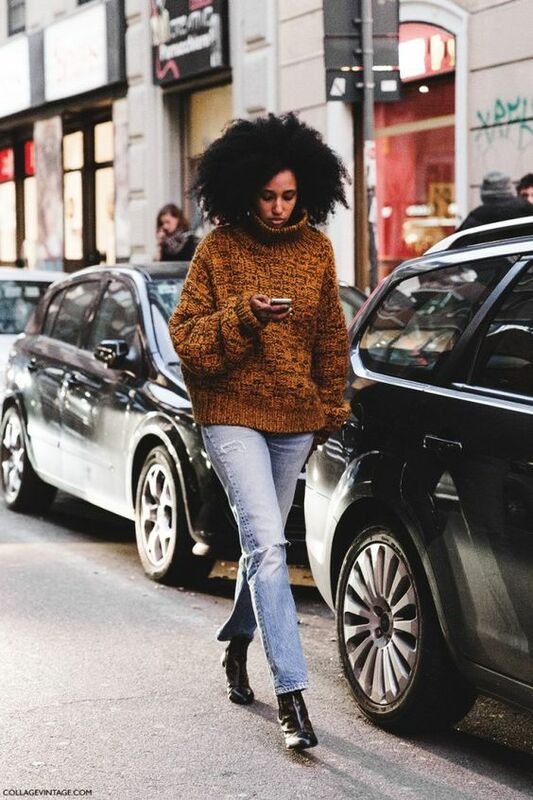 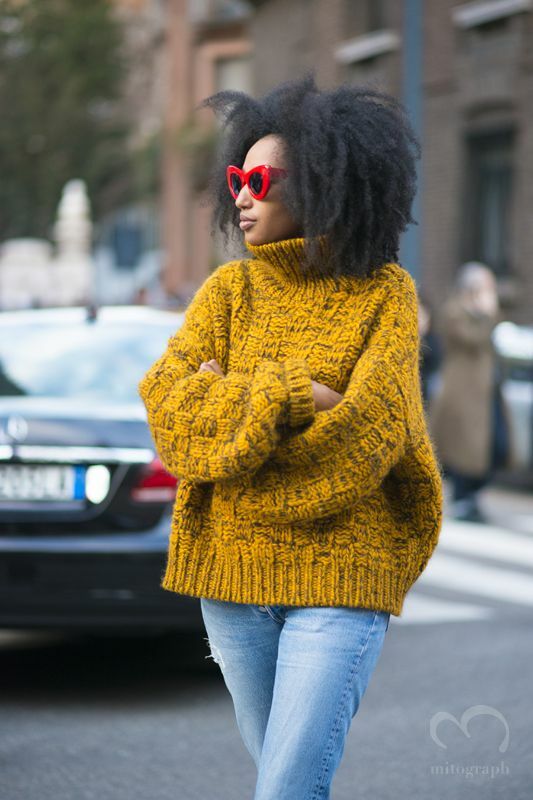 Rather than avoid something that&apos;s been done a million times, like the cable-knit sweater, Sarr-Jamois leans into the classic piece with exaggerated turtlenecks and bright colors that contrast but also accentuate the traditional weave. 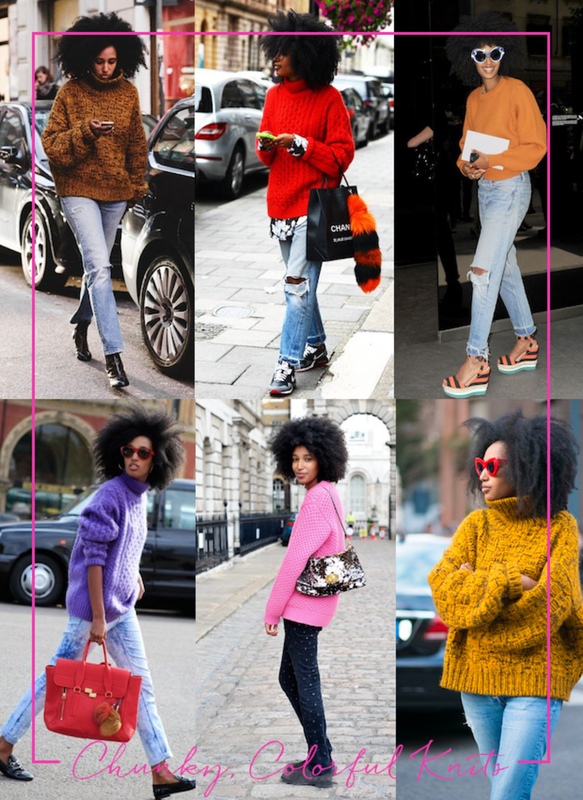 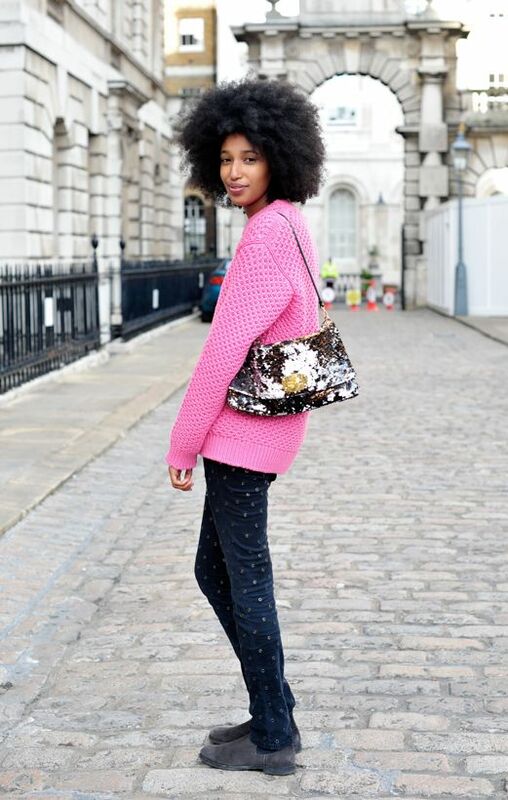 Most often, she pairs these sweaters with vintage denim for an effortless It-girl look. 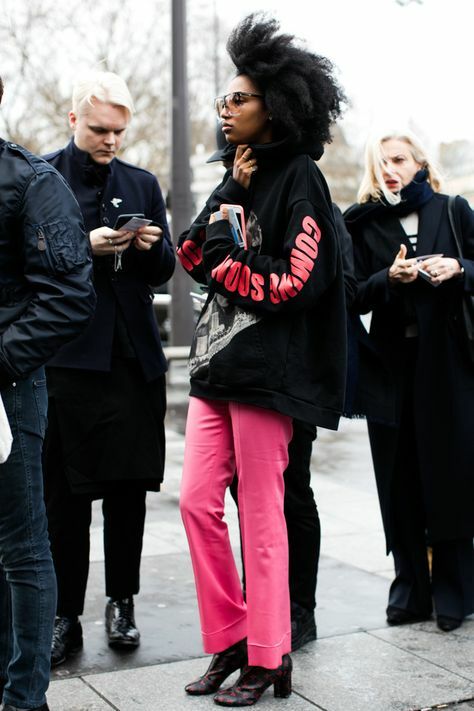 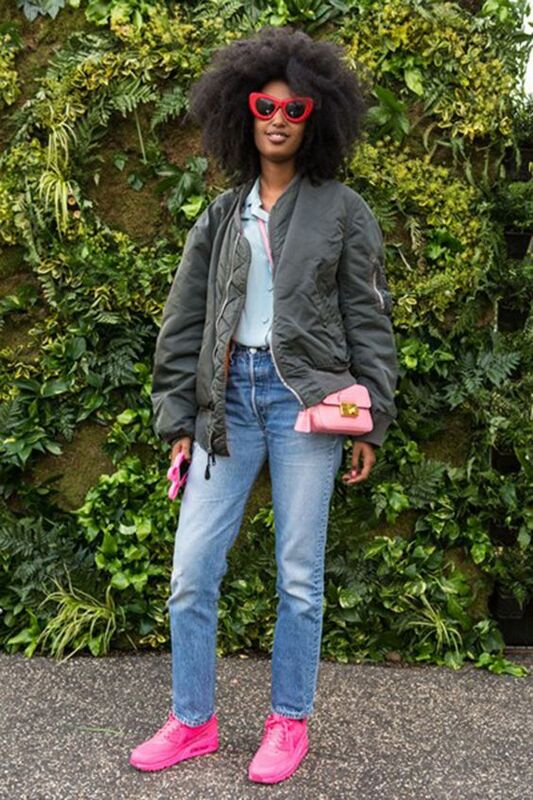 Sarr-Jamois is known for her sneaker collection, which she throws on with designer sweatshirts faster than you can say "Balenciaga." 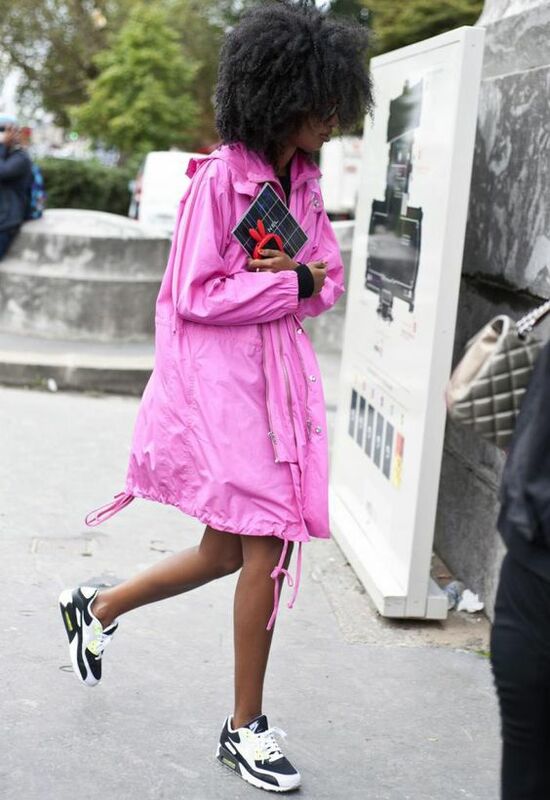 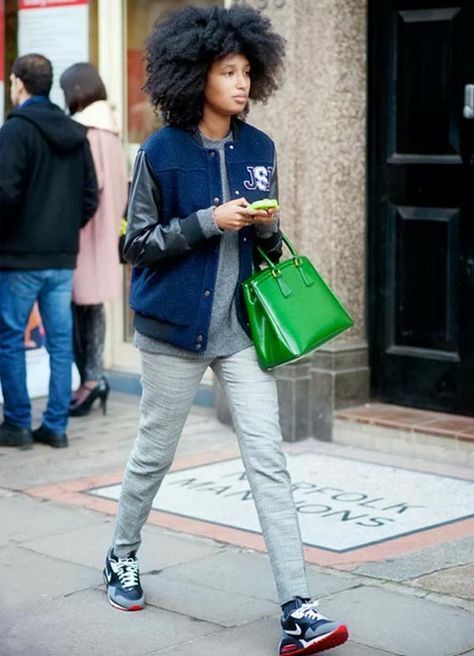 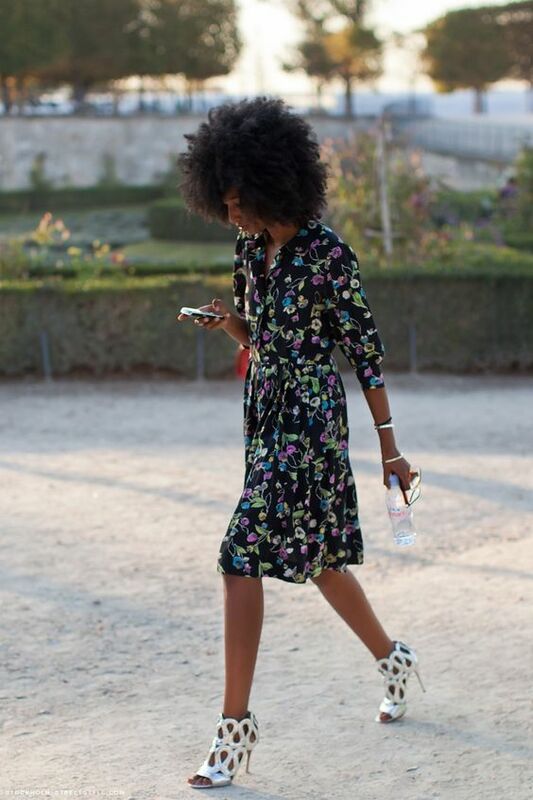 Somehow, the athletic footwear doesn&apos;t lower her outfits, but just makes them that much cooler and more daring. 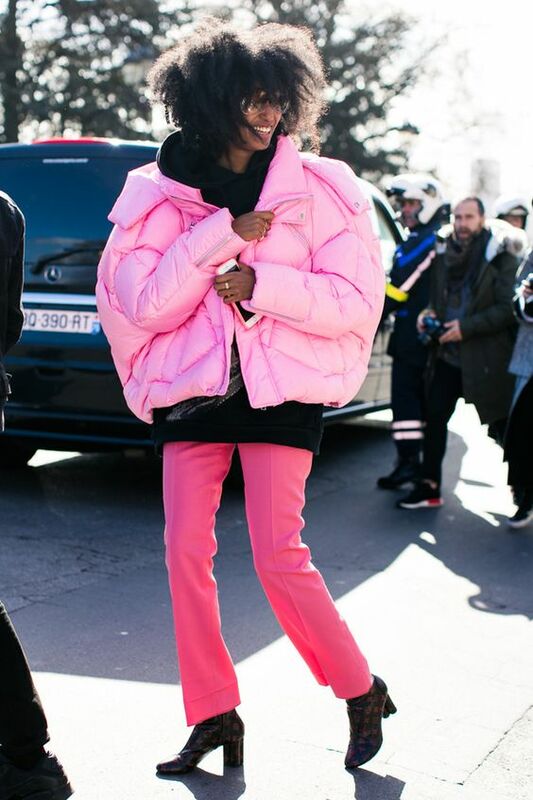 If you&apos;re going to go pink, go big. 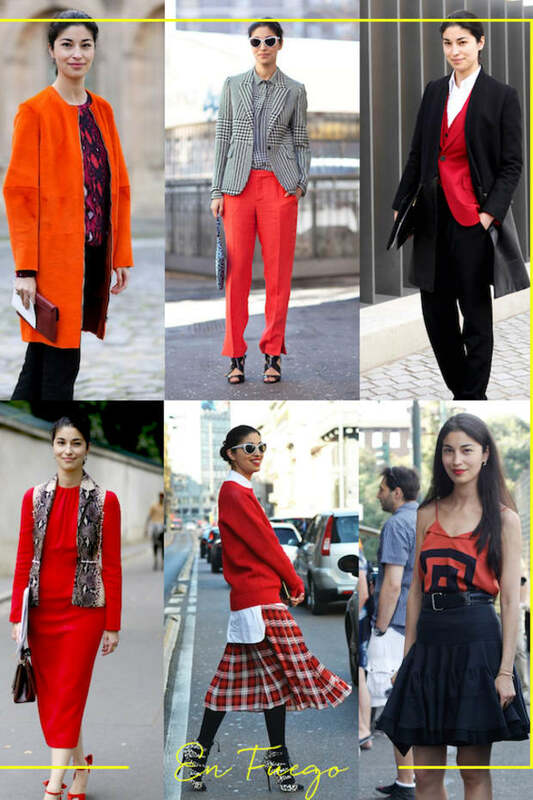 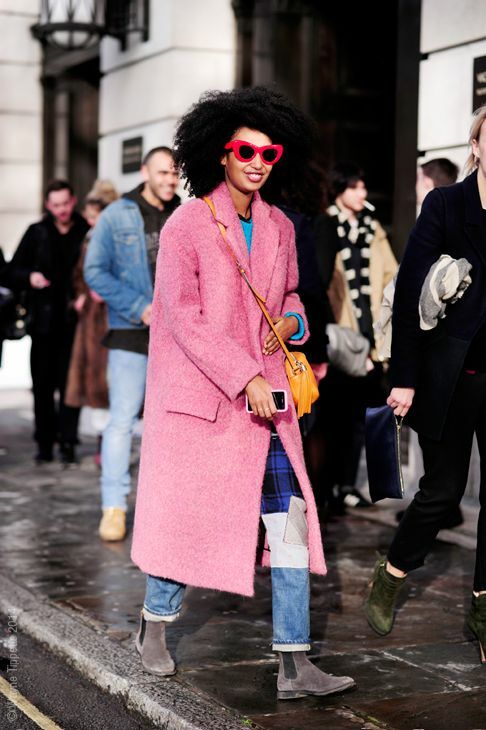 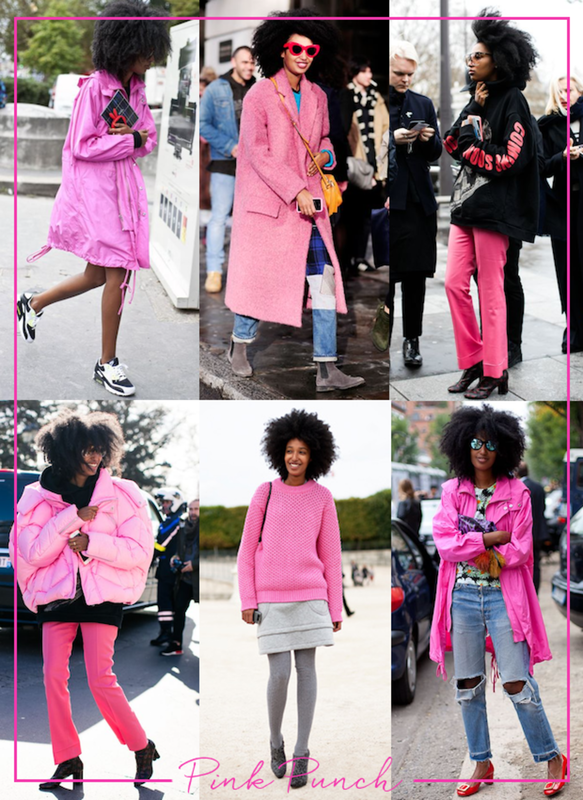 Channel Sarr-Jamois and opt for bold, bright, Barbie shades of the controversial color. 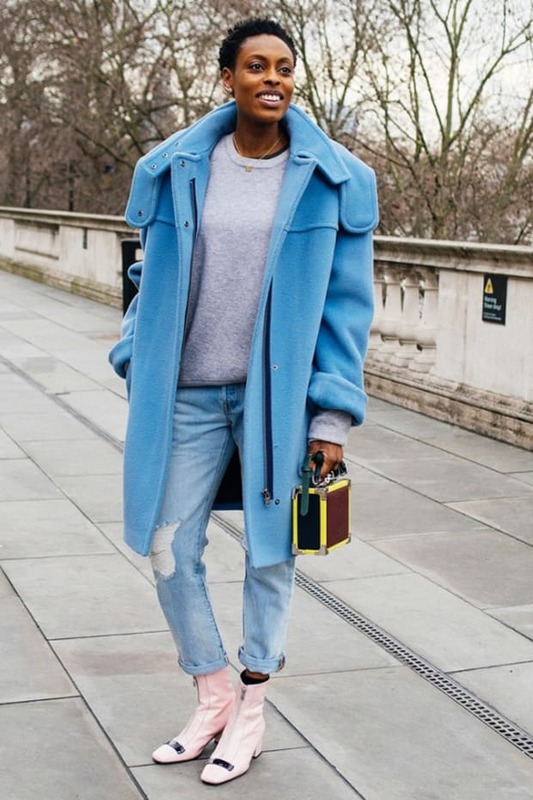 Yes, you may feel a little like you stumbled out of your four-year-old closet, but grounded by neutrals like gray, denim, and black, it can work. 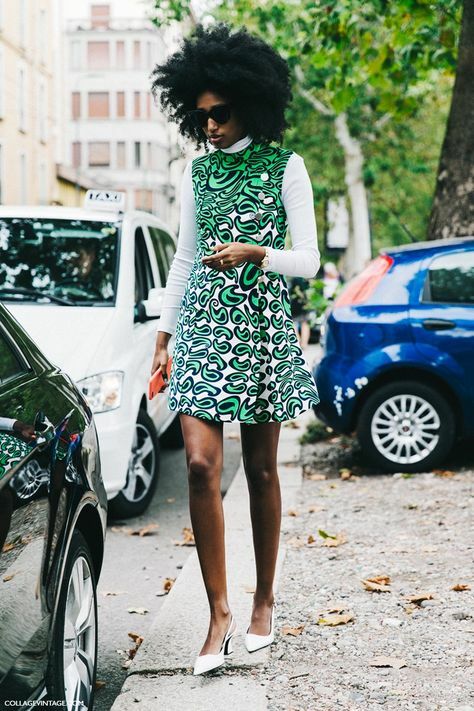 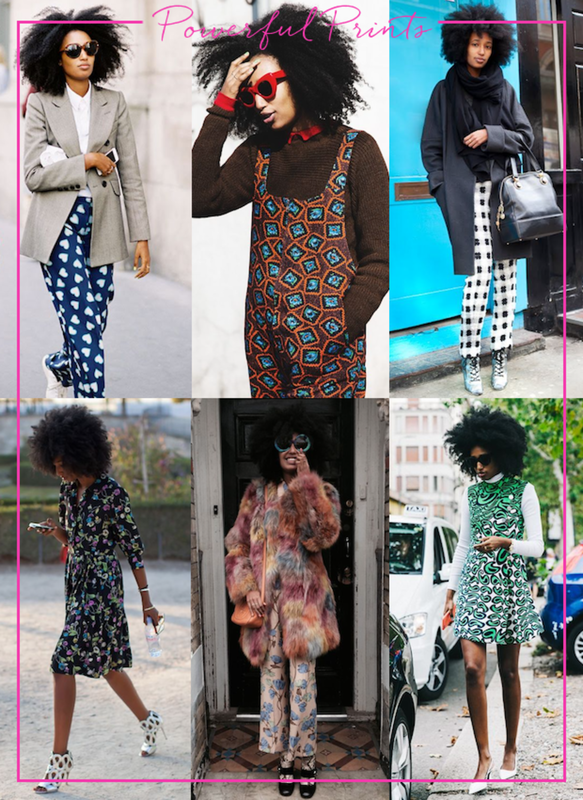 Powerful prints can be applied to any piece—a skirt, mini-dress, and even overalls. 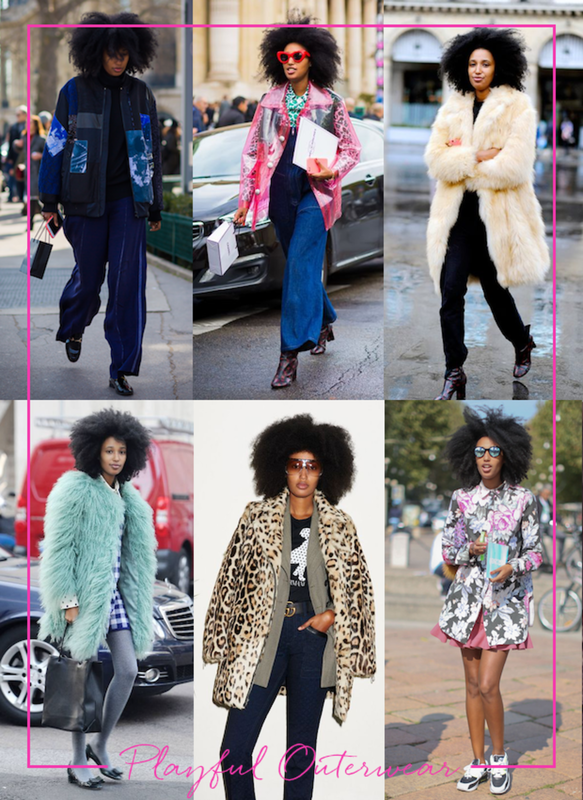 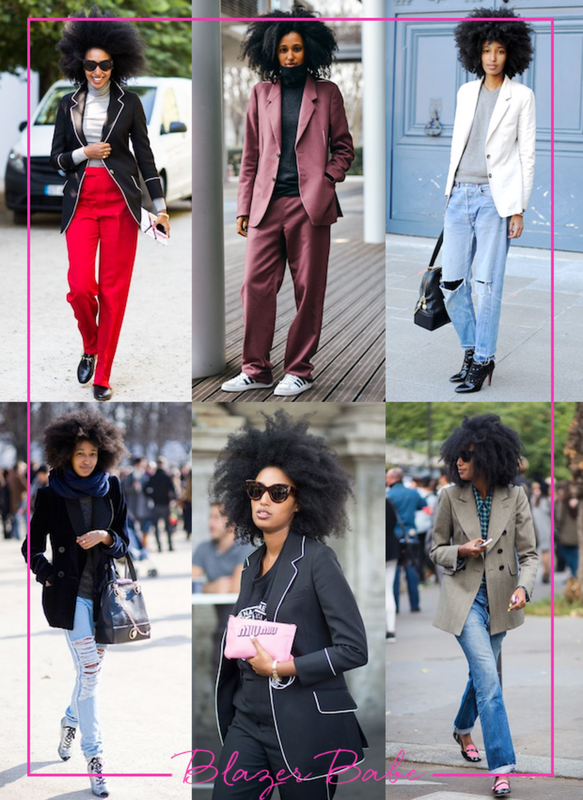 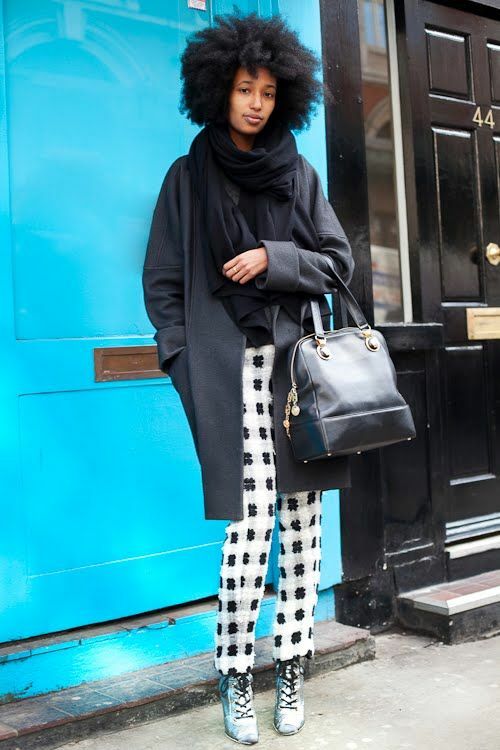 Like with the pink pops above, the key is to add a neutral element, like Sarr-Jamois&apos;s white heels and turtleneck under her green-printed dress (bottom-right), black duster and scarf (top-right), or a sleek Oxford shirt with bold pants (top-left). 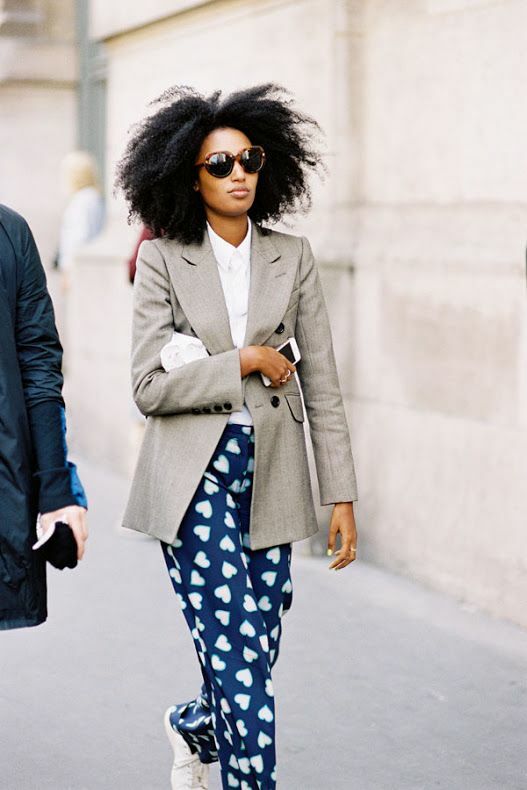 At first glance, these blazers look like they could have been borrowed from a boyfriend, or someone with an extremely long torso. 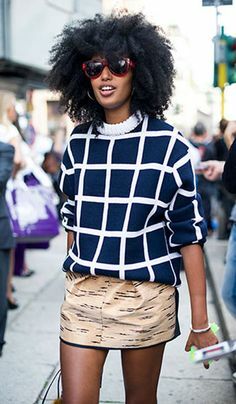 But do a double-take and you&apos;ll realize that they&apos;re mostly tailored perfectly to Sarr-Jamois&apos;s shoulders. 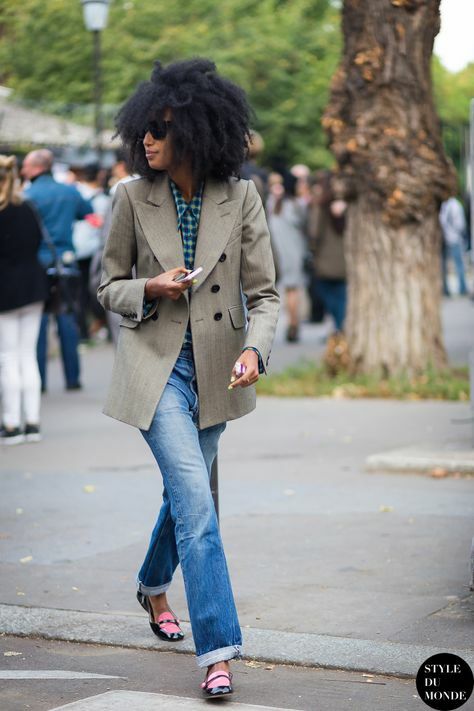 The careful tailoring ensures that she looks boyish and cool, but never messy, which you could say is the exact line she walks with all of her outfits. 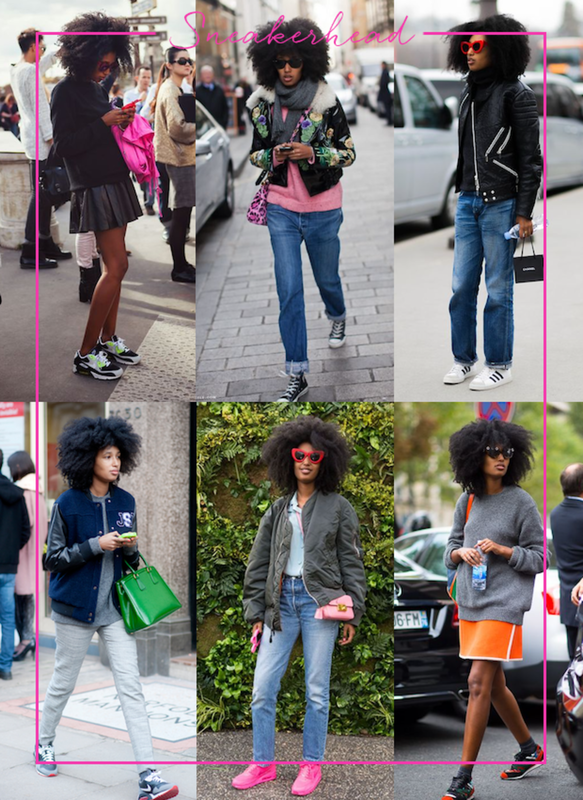 Check out all past Style Breakdowns here.